DENMARK: Bladt Industries has told around 80 workers at its factory in Aalborg they are to be laid off as activity falls later in the year. 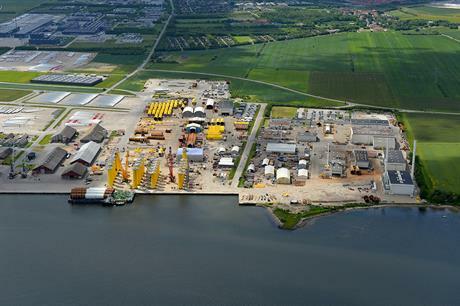 The site in northern Denmark is currently completing work on foundations and transition pieces for offshore wind projects in the UK and Germany. However, the firm said it faces a drop off in activity later in the year, which CEO Jan Kjaersgaard said was part of the business. "We are still very busy and have been busy for a long time. The 2015-16 period has been our highest activity level for some time, with over 1,000 employees. "It is the nature of a project-based business that there are periods of less activity. The peak activity is coming to an end. It is unfortunate as we have good and loyal staff," he told Windpower Monthly. The firm currently has three production sites in Europe. Its site at Lindo, east Denmark, is currently working on jacket foundations for SSE's Beatrice site in Scotland. Bladt also part-owns the OSB company in the UK, which is producing foundations and transition pieces for two Dong Energy projects in the country. "Aalborg is [still] very busy. We had to hire people to help with the peak demand, but that is coming to an end. It depends how the projects play out, but we hope we can increase job numbers again," Kjaersgaard added.